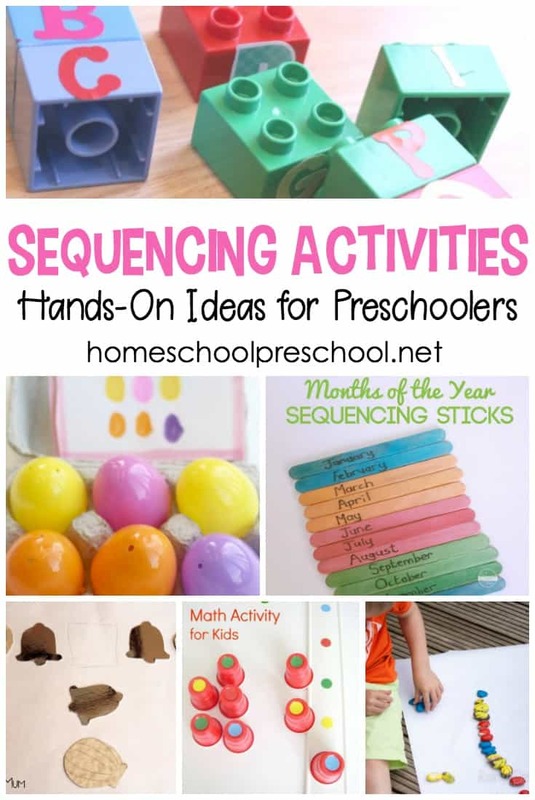 Use these story sequencing cards printable activities to teach sequencing and order to your preschoolers. These cards will help preschoolers visualize and retell their favorite stories. Sequencing cards can be used to teach sequencing and order. 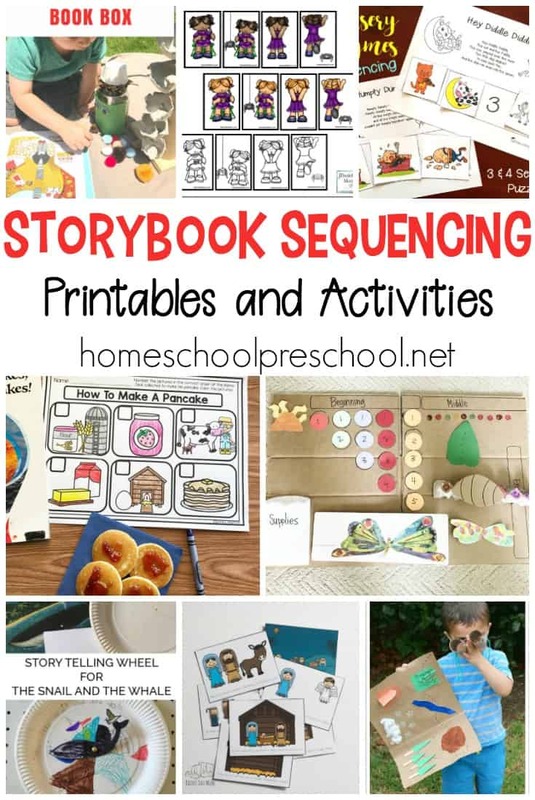 Story sequencing cards help little ones practice sequencing with their favorite storybook or nursery rhyme characters. Little ones can use the picture cues on these cards to put the story in order and retell it to mom, dad, or an older sibling. Not only can your preschoolers use this set of Little Miss Muffet sequencing cards to retell the story, they can use them to practice beginning coding. 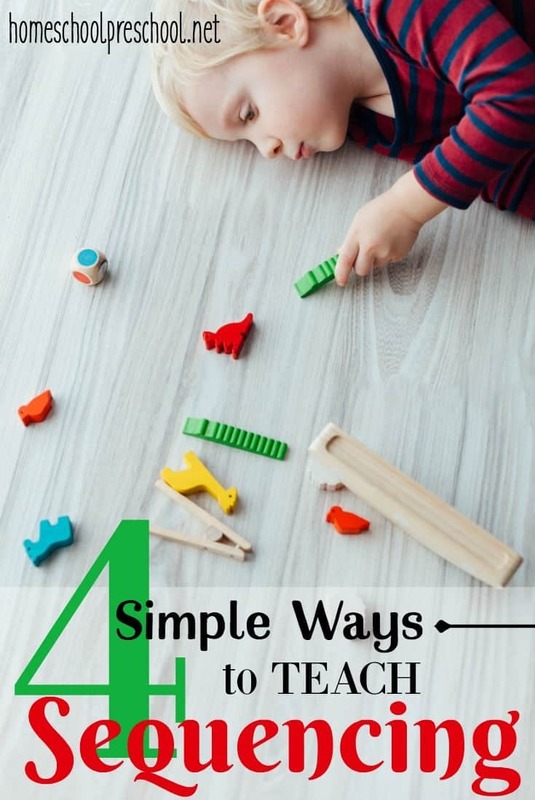 This is a great way to add a little storybook STEM to your homeschool preschool lessons. This activity doesn’t include sequencing cards, but it does include a one-page Pancakes, Pancakes! sequencing activity in which students will number the pictures in the order they happen in the story. 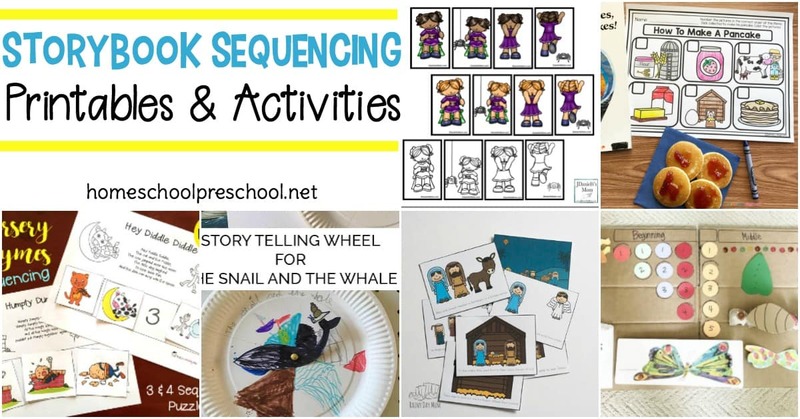 Students will sequence Going on a Bear Hunt as they build a map and then draw each part of the story on the free sequencing printable. I love this book box! Kids can use the cardboard game board and storybook items to retell The Very Hungry Caterpillar. Preschoolers will love retelling Caps for Sale with this book box. 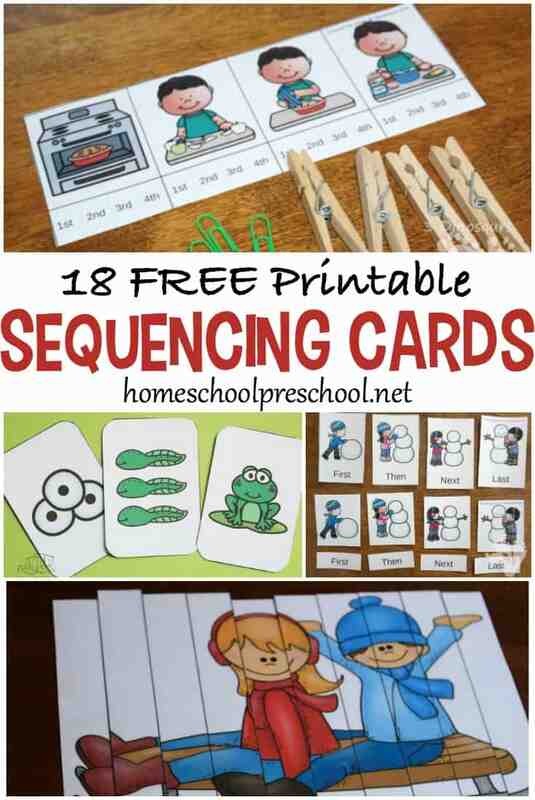 It’s a fun interactive way to begin practicing sequencing with your kiddos. This set of free storybook sequencing cards includes cards for The Three Little Pigs, Little Red Riding Hood, and The Three Little Bears. Little ones can practice beginning, middle, and end with these story element activities that go along with The Gruffalo. I love this storytelling wheel for The Snail and the Whale. It’s a great activity for helping little ones visualize the story as they retell it. These Nativity story sequencing cards will help preschoolers sequence and retell the Christmas Story. Which story sequencing cards printable activity will you try first with your preschoolers? I can’t seem to download The Mitten activity pack . I’m not sure what I’m doing wrong. It keeps asking for my name and email which I’ve put in several times. Can you try it in another browser? Sometimes that works for me.